Sakai Community DocumentationSakai 12 Administrator Guide (English) Become UserHow do I view user info? Enter a user id and click View user info. Enter the user id for the user you would like to log in as, and then click the View user info button. User info will be displayed. The user's name, email, user id, internal id, type, and account creation date will be displayed. 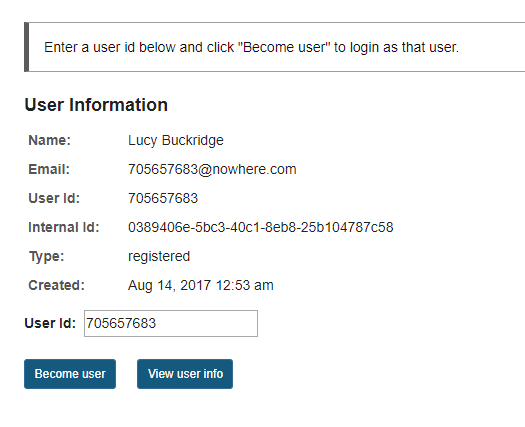 Prev: How do I log in as another user? Next: What is Delegated Access?